Last week I wrote about how moving back to the States has allowed me to start fresh and new with everything in my life. In the next four months I will be looking for a job, buying a new car and finding a new place to live among other things. Well, I made some progress. I acquired a project that guarantees me a paycheck until June 1st and possibly longer. It is one of those projects where my responsibilities changes from week to week culminating in a huge charity event in May. I enjoy these type of projects. I get bored easily. I bought a car. 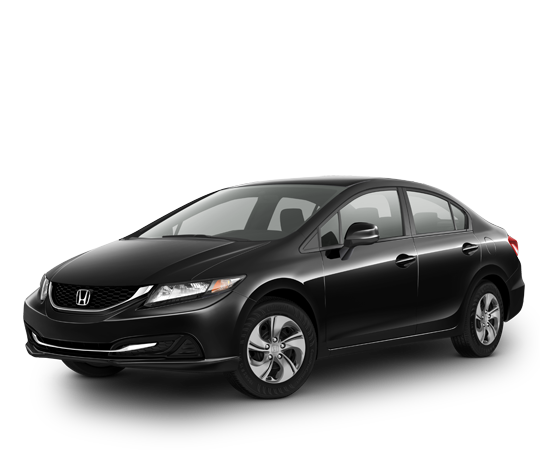 It’s a 2013 Honda Civic, black and beautiful. I call her Bella Noir. My family names all of our cars and refers to them by name. Weird? Any way, I know her name sounds a bit stripper -ish, but you can call her Bella for short. The best thing about Bella, we are linked, through my iPhone. One touch and she makes calls, plays my music and gives me directions. Love Bella. I can’t believe it’s been a year already. Now, I realize I have post dating back to June of 2011, I starting doing something online in June 2011. I wouldn’t call it blogging, though. It was crap, don’t read it. Then, in February, I switched over to WordPress. It took me a month to get in the groove and to decide I was going to keep at it for at least a year. A lot has happened in a year and I’ll be spending the month of March reminding myself and the world why we do this. Stay tuned, it’s going to be a fun month. What did you do for your 1 year blog anniversary? 101 Tweet-Tastic Tools for 2013 by Lilach – We all love Twitter, but are you using Twitter to its full tweet-tastic capabilities? Bring Your Fiction to Life with Emotion: An editor’s how to guide by Robb Grindstaff – I made some progress in editing this week because of this post. The Essential Checklist for Submitting Your Novel to Agents by Brian Klems – I am working on compiling my agent submission list. Ouch! It’s an Outline by Just Jemi – I’m a plotter at heart, but I write short stories as a panster. It’s not too bad. Congratulations on the new car and project! I don’t remember what I did for any of my anniversaries. I almost missed number three. Thanks Alex. I love my new car. My daughter named our Jeep “Carson Danger”. Now that she’s away at college, I have to take Carson for rides and send her pictures, so she can see how he’s doing : ) Haven’t had a one year bog anniversary yet…Not sure what I’ll do for it. See, not so weird. Haha. Looks like you have a bunch of cool stuff coming up soon and I’m looking forward to seeing them. Thanks Vikki. Did you get my email? 23.30 here so will reply in the morning, but yes, I accept! Oooh, I like your new car 🙂 Congrats on the new project! Have a lovely week!